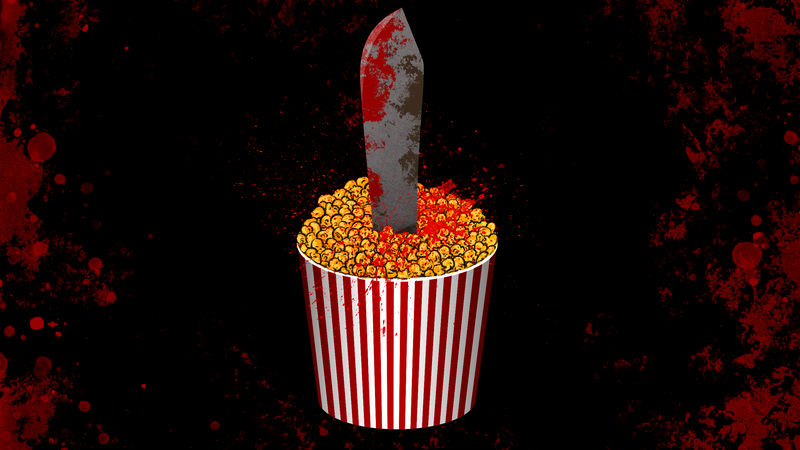 October is the month I watch horror movies the way kids eat candy. For years, my wife and I came up with a list of movies and named the whole thing Shocktober. A while ago, we started sharing the list, and that’s what I’m here to do today. If you’re new to horror, check back tomorrow for a different list! The spirit of Shocktober is to try and watch as many of these as you can, knowing in advance that it’s probably impossible to watch a movie every single night. Generally speaking, we tend to make it through roughly half of the list. That’s why followers of my previous lists might be wondering why there are some movies popping up here again. If you’ve seen ‘em before, skip ahead. This is not a list of the best horror movies ever made, but a curated list of films that, with the exception of Wes Craven’s New Nightmare, I have not seen before. (RIP, Mr. Craven.) A few movies are already in theaters or are coming later this month. Everything has links to where you can rent ‘em, buy ‘em, or stream ‘em, and if you click on the movie’s title, you’ll be able to watch a trailer. You’re encouraged to drop your own suggestions in the comments, so please do! In addition to this list, I’m debuting a weekly horror podcast with my wife, Katie Klepek. Til Death Do Us Part will, for the month of October, discuss a selection of Shocktober 2015’s films every Thursday, and so long as people dig it, we’ll keep doing that in the months beyond. You can subscribe to the podcast on iTunes (if you like it, please leave a review!) or stream it over here. Every Thursday or Friday—I’m still figuring out the schedule—I’ll have a writeup on the movies, so there’ll be an opportunity for Kotaku readers to discuss what you’ve watched, too! Hopefully you’ll enjoy this as much as I do! And as mentioned at the top, there’ll be another list tomorrow directed at people who’ve thought about getting into horror but don’t know how to jump into the genre. Think of it as Horror 101, a selection of movies that’ll have you hitting all the classics, in addition to understanding what the genre is like in modern day.